If you have undergone joint replacement surgery recently, you are not alone. In fact, millions have been performed since the late 1960s when federally approved procedures were introduced. Replacement surgeries most commonly involve the hip or knee, although most joints in the body can be replaced including shoulders, wrists and elbows. For hip replacement alone, more than 450,000 surgeries are performed annually. Ideally, patients today should expect a hip or knee replacement to last for 20 or more years. Complications, however, do occur. In fact, for joint replacement in general, the percentage of people experiencing complications may be as much as 40 percent. Joint replacement surgery, also known as arthroplasty, involves removing the worn or damaged cartilage from both sides of the joint, followed by resurfacing the joint with a replacement implant. The implant is designed to mimic a normal joint and should allow patients to resume a high degree of normal activity within a few months. Some pain following surgery is to be expected. However, if it is severe, or is manageable at first but worsens over time, that is a concern. It could mean that the joint replacement is failing. Historically, the use of hip implants was limited to patients who were older. These patients were less active, had suffered a hip fracture or experienced severe arthritic hip conditions. Currently, orthopedic surgeons have been offering hip replacement options to patients as young as 55, perhaps younger. Implants are being made of a variety of materials, including combinations of metal, polyethylene and ceramic. Herein lies good news and bad. With the demand for products and devices suitable for younger, sometimes far more active patients, manufacturers have been aiming to create stronger, more durable, more flexible designs. In some cases, this has led to defective products that have been inadequately tested and researched. Metal-on-metal designs, in particular, are of great concern. Since the introduction of these implants, numerous patients have suffered a variety of unique complications. 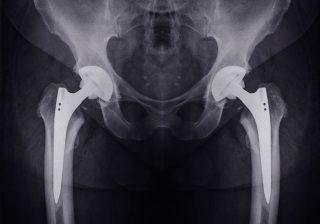 Metal-on-metal hip implants consist of a ball, stem and shell, all made from cobalt-chromium-molybdenum alloys. In addition to the general risks associated with all hip replacement surgeries, in metal-on-metal hip implants, the metal ball and the metal cup slide against each other during walking or running. According to the FDA, metal can be released from parts of the implant where two components connect. This friction causes tiny metal particles to wear off of the device around the implant, possibly damaging the bone and soft tissue surrounding the implant and joint. High levels of metal in the blood can also lead to neurological damage, such as hearing impairment, loss of vision, and depression. 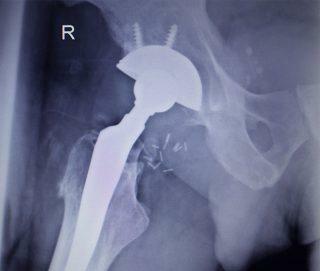 As a result of increasing concerns, in January 2013, the FDA issued a warning regarding all metal-on-metal hip implants. Manufacturers must file applications that include the results of clinical trials and other valid scientific evidence showing that the hips are safe and effective. If manufacturers choose not to comply, they won’t be able to sell those devices in the United States. There are almost as many complications as there are joints in the body. In many cases, you may not be aware what type of implant you received. A good lawyer can determine if you have been subjected to a defective device. With your permission, an experienced lawyer can get access to your records and help you understand your options. Choosing the right attorney may feel overwhelming when you are suffering from a joint replacement failure. To select the firm that will best represent you, you need to ask the right questions. What experience can this firm offer me? What is this firm’s philosophy toward working with its clients? Weitz & Luxenberg stands out for its success in winning complicated medical lawsuits. We represent tens of thousands of individuals, consistently offering superior results. You can be assured that if you select Weitz & Luxenberg, we will fight with you and for you every step of the way. W&L's Ellen Relkin, as lead counsel in the NJ Rejuvenate and ABG II hip stem litigation, played a key role in negotiating the more than $1 billion settlement. Most qualifying plaintiffs will receive $300,000 or more. As a nationally recognized personal injury law firm, Weitz & Luxenberg is committed to helping clients win cases. For more than 25 years, we have dedicated ourselves to holding irresponsible practitioners accountable, and we have won $17 billion for our clients. We would feel privileged to assist you. For a free consultation and more information about your legal options, please call us at (800) 476-6070. If you prefer, you can complete our form, and our client relations representative will contact you shortly.